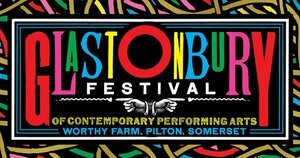 Glastonbury has long been famed for more than just music, for being the festival where you can have a fantastic and magical time even if you never hear any of the music. So, if you want some down time, 2019 will allow you to enjoy a sixty foot pier. Yes, a pier, one of those wooden structures which stretches over the sea. The Eavis family have teamed with artist Joe Rush to create Glastonbury on Sea, and rather than Dad’s Army there’s going to be a full on Victorian pier. This is the bit where a joke about will there be enough water could age very badly.